SpaceX gets approval to combine their COTS demonstration flights 2 and 3 into a single flight, and a firm launch date of February 7, 2011. We're only eight weeks away from the first commercial delivery of supplies to the ISS! StratoLaunch announces their plans to build an air-launched solution for placing payloads of up to 13,500 kg in LEO. 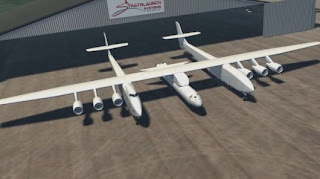 Scaled Composites will create the world's largest airplane to carry a SpaceX Falcom 9 derivative to 30,000 feet where the rocket will be launched to orbit. NASA announces they will be using Space Act Agreements, rather than FAR-based contracts for the third phase of the Commercial Crew Development program. Orbital Sciences announced that its new launcher (also part of the COTS program), formerly known as the Taurus II, has been renamed the Antares. NASA has made lemonade out of the lemons Congress gave them (Commercial Crew gets only $406 million in the coming year). Dropping the idea of Firm Fixed-Price contracts under the Federal Acquisition Regulations (FARs) and choosing instead to continue phase 3 of the CCDev using Space Act Agreements (SAAs) will allow NASA to remain engaged with multiple suppliers and keep costs down for those suppliers. The largest concerns and complaints being aired by members of congress and the press generally involve how much control NASA will lose. Many people are picking up on comments from NASA's Bill Gerstenmaier that while the SAA approach will provide more flexibility, it "doesn't insure that we're going to get exactly what we need coming out the other side". How can anyone believe that the suppliers vying for the ultimate contracts to deliver NASA astronauts to LEO are not completely aware of what NASA needs? After two rounds of CCDev work, they know precisely what is required. And if for some reason one of these companies does not produce a solution that satisfies NASA in the end, NASA will not be contracting for their services. Continuing CCDev under SAAs is the best news we've had in months, and it in no way threatens NASA getting their requirements met. 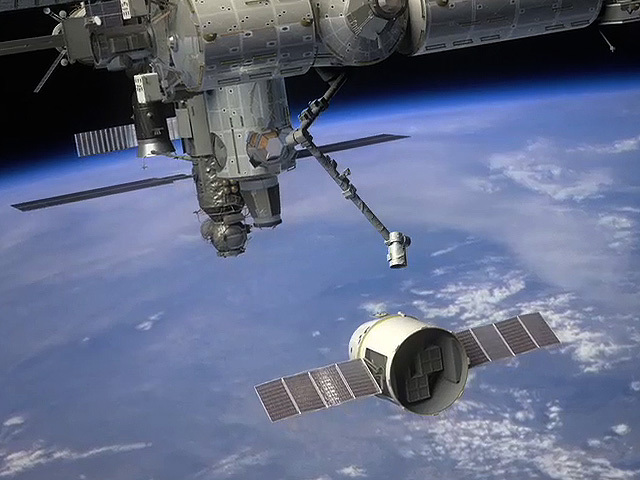 Has Russia Been Blocking Dragon Docking At The ISS? 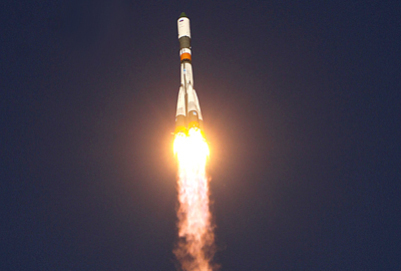 A news report surfaced at the Ria Novosti site with the headline "Private U.S. capsule not to dock with ISS". Just as with U.S. media outlets, the substance of the article was not nearly as definitive as the attention-grabbing headlines. A short time later, NASA announced via twitter that the story was incorrect, and that no decision had yet been made regarding the SpaceX test flight slated for later this year. The Russian news story tries to connect the dots between old news and recent comments from Vladimir Solovyov, head of the Russian segment of the ISS mission control. He did state that "a flight by the Dragon to the ISS, but without berthing, has tentatively been scheduled for the end of this year. Though, I do not know, whether it'll fly or not," which was true even before the failed Progress launch on August 24th (NASA has only officially approved two separate flights for the Dragon to the ISS, one to rendezvous, the second to actually dock. Approval for combining the two flights has been pending for some time). "We will not issue docking permission unless the necessary level of reliability and safety is proven," said Alexei Krasov, head of the human spaceflight department of Roscosmos. "So far we have no proof that this spacecraft duly comply with the accepted norms of spaceflight safety." If anyone has been wondering what was taking NASA so long to grant formal approval to a combination of the COTS-2 and COTS-3 flights, I think we have our answer: Russia is not convinced the Dragon is not a threat to the safety of their personnel on the ISS. In light of the current crew situation aboard the ISS and the delayed arrival of astronauts trained to deal with the Dragon, what might be SpaceX's best course? I would like to see the Falcon 9/Dragon launch go forward on November 30th, and do so as the scheduled COTS-2 flight (i.e., NOT dock with the ISS). Doubts about the Falcon 9 following the engine anomaly which occurred during its last test flight could be put to rest with an extra flight, and the COTS-3 flight could proceed early next year once the ISS is fully crewed with the right personnel. Obviously the cost for two flights is at least double that of a combined flight, but the additional experience would be valuable for SpaceX. With NASA's commitment today to a design for their new Heavy Lift Vehicle (HLV), it seems like a good time to review the current state of heavy lift capability and development. If you wanted to get a large payload to Low Earth Orbit (LEO) today, what are your HLV options? United Launch Alliance (ULA) provides the Delta IV Heavy, which is capable of placing nearly 23 metric tons (mT) in LEO. The Titan IV-B can lift 21 mT, Russia's Proton M flings 21 metric tons to LEO, and the Ariane 5 ES can deliver 20 mT. Japan offers the H-IIB, which can place 19 metric tons in LEO, and China's Long March 3B has a maximum LEO payload of 13 mT. China's Long March 5 (CZ-5) family of launchers will sport a maximum capacity to LEO of 25 mT, with an initial test launch date sometime in 2014. SpaceX's Falcon Heavy will carry 53 mT to LEO, and their manifest says they plan their first launch at Vandenberg in 2012. NASA's SLS will initially provide 70 metric tons of payload to LEO, with the first development launches "targeted for late 2017." While everyone is getting excited about NASA's new Space Launch System and its promised ability to carry humans to the asteroid belt and Mars, let's keep some perspective. NASA estimates that getting the new launcher and the Orion spacecraft ready for an initial development 2017 launch is going to cost U.S. taxpayers between $17 billion and $22 billion. And if they are already aiming for a late 2017 date, anyone in the aerospace industry knows that means 2018 for sure. SpaceX, on the other hand, plans to have their Falcon Heavy ready for its first test flight in late 2012, a full five years earlier. Oh, and SpaceX is already advertising launch prices in the $80-125 million range. That's "million," not "billion." 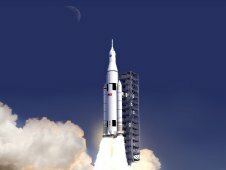 So why are we gutting the rest of NASA's dwindling budget to fund the SLS? NASA adminstrator Charles Bolden, in a joint press conference with Senators Hutchison and Nelson, announced the intended design for the new Space Launch System. The configuration will consist of a core stage and an upper stage both powered by a liquid hydrogen and liquid oxygen propulsion system, and booster stages that will be open to competition. The core stage will be powered by the RS-25D/E engines from the Space Shuttle, and the upper stage will be powered by the J-2X engine (a derivative design of the Saturn V main engines). Solid Rocket boosters will initially be used for the booster stages during developmental flights, but the ultimate design of the booster stages will be determined as part of a competition. The initial lift capacity is 70 metric tons to LEO, with later versions providing as much as 130 mT. this is the most powerful U.S. launcher since the Saturn V (127 mT to LEO). This modular architecture was chosen because it leverages existing capabilities, and its evolvable development approach allows the high-cost development activities occur early in the program. Bolden stated that "the decision to go with the same fuel system for the core and the upper stage was based on a NASA analysis demonstrating that use of common components can reduce costs and increase flexibility." NASA has already updated their websiste for the SLS, so more information is available there. ITAR-TASS reports the Russian space agency has announced a launch date of October 30th for their next Progress supply ship, bound for the ISS. Assuming this flight is successful, they have scheduled the next manned Soyuz flight to the ISS for November 12, arriving in LEO only days before the remaining ISS crew of 3 will need to leave. ISS Program Manager Mike Suffredini noted in late August that November 19th is the last possible date for de-manning the station. At 3:00pm EDT today, NASA and Alliant Techsystems (ATK) made a joint announcement regarding a possible acceleration of LEO crew transportation (see the Press Release here). Ed Mango, NASA's Commercial Crew Program Manager, began his remarks by pointing out that Commercial Crew is making making steady progress, with development remaining on time, and on budget. He then went to announce, as expected by many, that CC has entered into an unfunded Space Act Agreement (SAA) that will allow NASA and ATK to share information, and it grants ATK access to Kennedy Space Center during Liberty development. The agreement will run though next spring, and will include a series of milestones agreed to by both parties. This SAA puts ATK in a position to be ready to compete in the next CCdev phase. Kent Rominger from ATK expounded on the virtues of Liberty, noting that both stages have extensive flight experience. The first stage is an SRB from the STS, and the upper stage is the Ariane 5 Core stage (45 consecutive successful flights for the upper stage). They believe it is the safest, most reliable means to put crew on orbit. Liberty can lift 44,000 lb to LEO. This will bring jobs into Florida, and take advantage of existing infrastructure and talent. Liberty is extremely simple. One engine on first stage, one on the second. Minimize things that can go wrong, so you minimize opportunities for a failure. No other provider can match our value, or our safety record. Kent Rominger referred to NASA's human rating requirements as "onerous." Nevertheless, the two stages of Liberty were each developed from the beginning as parts of launch systems intended for human flight, and they believe they can meet the requirements. Ed Mango made it clear that NASA is NOT interested in doing spacecraft integration (crew vehicle to launcher). They will give their business to commercial teams that offer a fully integrated solution. Kent Rominger stated that ATK will continue working on Liberty and maturing the system whether they are recipients of CCDev 3 funds or not. Ed Mango: We want multiple providers for carrying crew to LEO. That assumes that there is sufficient funding at NASA to support this. We'll always have a Russian capability available, and we won't say no to that. Next Tuesday, NASA and Alliant Techsystems (ATK) will jointly announce an agreement that could "accelerate the availability of U.S. commercial crew transportation capabilities." It will not be carried live on NASA Television. In the wake of the Russia's grounding of Soyuz launchers (effectively catching the U.S. manned space program with their pants down), the urgency to find alternatives is growing. 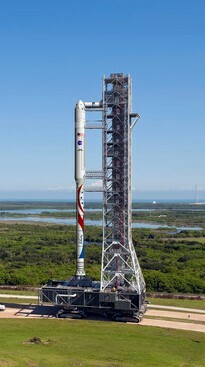 In April, ATK failed to receive CCDev-2 funds for the development of its Liberty launch vehicle. Undeterred, they decided to continue development of Liberty as a human-rated launcher in anticipation of future business with NASA (see SpaceFlightNow article). I'm just speculating of course, but it seems highly likely that NASA and ATK have entered into a Space Act Agreement (SAA) to include the Liberty in the CCDev program. Whether they will receive NASA funding, or work under an unfunded SAA (as ULA is doing in their efforts to man-rate the Atlas V, according to Aviation Week) is yet to be seen. Even though the Liberty scored higher than the Atlas V in the CCDev-2 evaluations, none of the CCDev crew spacecraft competitors agreed to fly their craft atop the Liberty, according to Doug Messier at Parabolic Arc. Are they nervous about putting people on top of a solid fuel booster? I suspect NASA is trying to keep as many manned launch options as possible. While no rocket is currently human-rated (even STS wasn't), The Falcon 9, Delta IV, Atlas V and now the Liberty are all viable options. Increasing the competition may be the single biggest contributor to the hoped-for acceleration of the program. UPDATE: I misread the press release-- the announcement wil not be carried on NASA TV. Video highlights will be available afterward in NASA TV's Video File segment. UPDATE 9/12: NASA has now decided to go ahead and broadcast the announcement live on NASA TV after all. That's tomorrow (Tuesday) at 3:00pm EDT. During his press conference this morning, ISS Program Manager Mike Suffredini said that if the Russians are unable to resume manned launches by mid-November, they will be forced to de-man the station no later than November 19th. 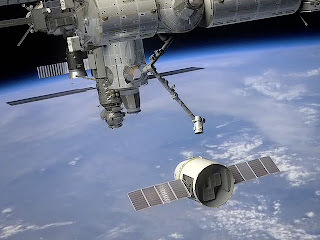 And while they are capable and ready to autonomously operate the ISS indefinitely, he made it clear that the absence of any crew would make it impossible for the SpaceX Dragon to dock with the station following its scheduled launch on November 30, 2011. The interruption of LEO crew transport via Soyuz magnifies the need for alternatives (such as the Dragon), yet the test flights necessary to prove that the Dragon and its competition can successfully deliver supplies and people to the ISS cannot happen without a crew aboard the station. On the other hand, if the problems that caused the loss of a Progress spacecraft last week are discovered and fixed such that human flights can continue to the ISS before she is de-manned, it will be more important than ever that SpaceX can successfully demonstrate the capabilities of the Dragon on November 30th. As reported in many news services, Russia lost contact with the Progress 44, and it failed to make orbit. Russia will be forming a commission to investigate, and the U.S. will be working with them to identify root cause of the failure. This is the first Progress loss in the history of the ISS program. There are implications to the ISS craft itself and the crews aboard. The Soyuz booster used for the Progress launch is very similar to that used for crew launches, and the 3rd stage is identical, so this may impact the 22-September launch of the next 3-man crew, depending on the investigation. Plenty of consumables to go a long time-- crews would reach the end of their time well before these are exhausted. The 3-person crew that is slated to return to Earth in September will reach 162 days in orbit by then. The normal rotation period is 180 days, plus an additional 30 days of contingency. This means they could stay on orbit another 45 days or so with no ill effects. If the Soyuz crew launch is sufficiently delayed as a result of the ongoing investigation, Suffredini said this crew will return to Earth and they can operate the station nominally with a total crew of 3 (but not much science will get done). The currently higher orbit puts the ISS in a good position to tolerate delays in re-boost, although Suffredini pointed out that they have sufficient propellant onboard to proceed with the planned re-boost without the presence of the Progress. the station can go for many months without re-supply. Progress 44 was carrying 2.9 metric tons of non-unique supplies (easily replaceable): dry goods, water, fuel, and gasses. When asked by a member of the press whether any of the planned commercial visits to the ISS could help with the delivery of supplies, Suffredini replied that even though NASA has an agreement to place 800 Kg on the SpaceX Dragon mission scheduled for November, he saw no reason to actually use the available capacity. He also mentioned that Progress 45, currently scheduled for an October launch, could have its launch date moved up if needed. One thing is pretty frakking frustrating about this SpaceUp: I can't get on the internet without leaving the venue. They are not providing any WiFi, and I get barely a single bar of AT&T for my iPhone... so tethering doesn't do me much good! I didn't find the 3:30-4:30 sessions to be that interesting to me, so I took a break and headed to my motel to check in I can see the Columbia Space Center from my window, so it is quite convenient! There is also awesomely fast WiFi in the motel, so I took a minute to write this post. The content has been fairly good. I've seen practical presentations in Pod 1 (complete analysis and plan for a rapid-return mission to Mars; CubeLab hacking), fun topics in a smaller pod led by a 5-year old (Frontiers of the Impossible), and a more open discussion about simulated gravity (its necessity for long duration space ventures, how much is enough, how to make it). I have high hopes for the more formal T-5 presentations tonight. So, should I still put up a topic for tomorrow? I'm still thinking about "What can we salvage for re-use from the ISS in 2020?" I'll want a white board... and I'm now thinking about a "How to get a job in the Space Industry (yes, I want one)"
I want to get back for the 5:00pm session, and that's also when dinner arrives! Gotta love a conference that provides meals to its attendees (good meals), and healthy/tasty snacks throughout the day. On Twitter, I stumbled onto the SpaceUp Unconference happening this weekend in Los Angeles. I'm still trying to get my head around the "unconference" idea, but it definitely has my attention. What's a SpaceUp? It is a semi-structured, yet spontaneous meet-up of people with at least this one thing in common: A passion to see humanity venture out into space. Given my recent re-birth as a space enthusiast and wannabe Space Scientist, it seemed obvious that I should attend. I attempted to recruit a number of family and friends to join me, but it looks like its gonna be a road trip for one. I'm a fairly outgoing person, but I'm still a bit intimidated by the way the whole thing works. Apparently it would be entirely normal for me to slap together a 5-minute talk with a pre-made slide show loop and have my say! I just don't have a topic yet, and the whole thing starts in two days. I also will have the chance to kick ideas around with other attendees and propose session topics that would then be added to the "board." I do have a couple of ideas for topics (e.g. "Old Folks in Space", "Let's find another use for the ISS after 2020"), so I'll need to make some notes for myself on these topics and be ready to speak up at the appropriate time. It looks like a fun weekend. I'll hit Interstate 10 after work on Friday and stop for the night in Palm Springs (Travelodge, here I come!). Once I stagger out of my motel room and hit Denny's for coffee and a good Paleo breakfast, I'll have two hours of driving to get to the Columbia Memorial Space Center in Downey, CA. The museum sounds great, and we un-conferencees will have full run of the place. Lunch is provided on both days, and I'll even get a dandy t-shirt. BTW, it is extra-good timing that my new MacBook Air arrived yesterday-- it is the perfect tool (along with my iPhone for tethering) for note-taking, surfing, and live-blogging during the unconference. I'll be sure to blog and tweet whenever I can during this exciting two-day event, and maybe snap a photo or two as a bonus. I am changing course. I have spent the last seven years (and off and on a few before that) becoming an archaeologist. I did this in my spare time, while raising two daughters and working a full-time job as an avionics software engineer. I imagined that one day I would leave the engineering world behind, and become a more pure scientist by digging up, studying, and comparing ancient cultures. Only a few weeks ago, I watched a live video feed of the Space Shuttle Atlantis lifting off for the last time. Within 48 hours of this event, I had decided to make this course correction, setting a heading for a future in the Space industry. I still had two weeks-worth of coursework remaining to complete my B.A. in Anthropology, and complete it I did. But I am relegating my interest in archaeology to the "hobby" category (I'll never completely turn my back on it), and investing myself completely into the boyhood dream I abandoned so long ago: Space. I have already enrolled at the University of North Dakota, whose M.S. in Space Studies looks fantastic. I am taking the first course of the program (SpSt 501) as a non-degreed grad student, while putting together my application to the formal program. This interdisciplinary program includes courses such as spacecraft systems engineering, radio astronomy, planetary geology, space mission design, politics of space, space law, and remote sensing. For a kid who once wanted to work and live in space, this is about as good as it gets. I currently work as a senior engineer at a small software firm specializing in embedded software for commercial, business, and private aircraft, as well as for military and space applications. I'm hopeful that we will be able to expand our partnerships with customers working on both government- and privately-funded space projects, and that I can be a part of them. I plan to use this blog to chronicle my journey, and to discuss space-related topics that interest me. As a graduate student, I'll be expected to read more academic papers than I can count, and that should provide all the fodder I need to keep this blog humming.